The Law Center facilities include two interconnected buildings, centrally located on the LSU campus. 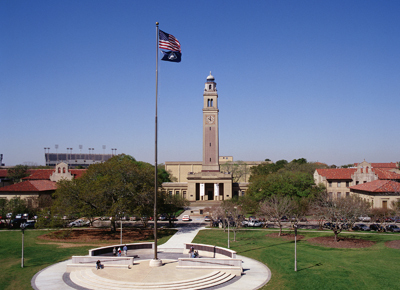 Renowned for its beauty, LSU is located on more than 2,000 acres in the southern part of Baton Rouge. 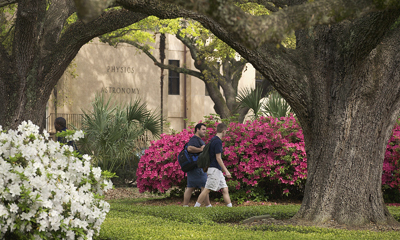 Bordered on the west by the Mississippi River, the campus has nearly 1,200 live-oak trees and many lakes. It has been ranked one of the 20 most beautiful campuses in America. The University’s more than 250 principal buildings – 57 of which are included on the National Register of Historic Places – are grouped on a 650-acre plateau that constitutes the main part of campus. 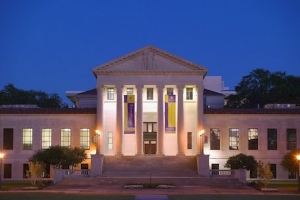 The Law Center buildings are centrally located on the LSU campus.